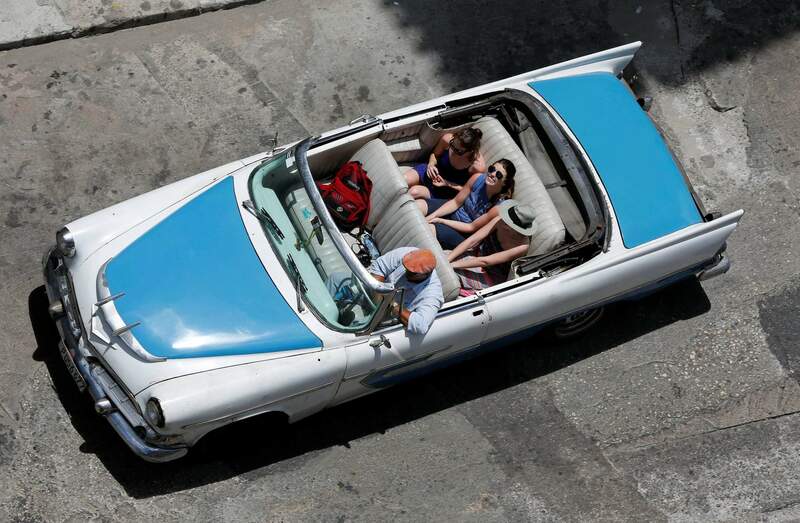 Tourists ride a classic American convertible in Havana, Cuba. President Donald Trump’s Cuba policy is driving hundreds of millions of dollars from the island’s private entrepreneurs to its military-controlled tourism sector. HAVANA – President Donald Trump’s Cuba policy is driving millions of dollars from the island’s private entrepreneurs to its state-run tourism sector, the opposite of its supposed goal, according to new government figures. He restricted Americans’ ability to travel to Cuba on their own, rather than with a tour group. At the same time, he allowed U.S. cruise lines to continue to take passengers to Cuba, where they pay millions to disembark at military-run docks and make quick trips onshore that are generally coordinated by government tour agencies that steer travelers to state-run destinations. The shift to cruises meant the average U.S. stay on the island dropped from six days to three, said Jose Luis Perello, a former University of Havana professor who studies Cuba’s tourism.